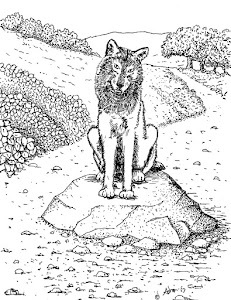 Beyond These Dark Lands Are Edges Of Joy: How Hard Is It To Draw 100 Illustrations For A Book? How Hard Is It To Draw 100 Illustrations For A Book? 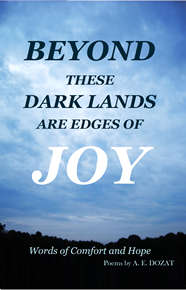 I have decided to illustrate my collection of Poems, Beyond These Dark Lands Are Edges Of Joy. I thought this would be easy, it is just drawing so how hard can it be to illustrate a book of poems? I started two months ago and I have been working daily on it, so one would think I would be done by now. The good news is that I have just a few dozen left to draw. Of the hundred page manuscript, about 94 are actual poems that need illustrations. I could have approached the task a number of ways. Having a goal helps and my goal is to average one a day. Focusing on an average frees me from the stress of feeling like I failed my goal one day. Some days I can do two illustrations, to make up for a missed day. For me, planning helps. I plan a week ahead and decide seven to draw and do a quick sketch for each. These drawings are very quick and look like a child's scribbles. Having the ideas rough sketched gives me a head start each day. This brainstorming session means the ideas are already expressed, and that is a big boost to starting each day. My drawing method uses a light-box. The light shines through enabling me to trace my drawings over and over until they are right. I know that each illustration will need to be redrawn two, three or more times, I accept this process and can't get upset if after I have drawn a picture I see a way to improve on it and need to redraw it again. This means I am doing over three hundred drawings in order to have a finished book that is visually appealing. I work a full-time regular job so I have limited time. After I get home and have time with the family and dinner I say to myself, "Ok, time to go to work," and I go upstairs to my second job of drawing pictures for the book. I work from 7:00 pm until bedtime. Once each picture is done I scan it to the computer and look at it again. When I review work in a different medium or format I see problems or find where it can be improved. Usually, by this time it is minor adjustments and I can easily use the computer to fix a little problem. I put the drawing into a digital mock page in Word to see how it might look when printed, and I hold my breath. Some needed major changes at this point and it on occasion I had to draw a new version, but most have been OK.
You might say, "Oh you are having so much fun! You are doing something you like when you make pictures for the book." Yes and no, I am having fun and I am not. When a hobby becomes a serious endeavor it is work and work is hard, but when I finish a picture and it is the way I want it to look I feel glad for the accomplishment. I am excited about the way it is all shaping up and I look forward to this collection of poems to be an encouragement to many.